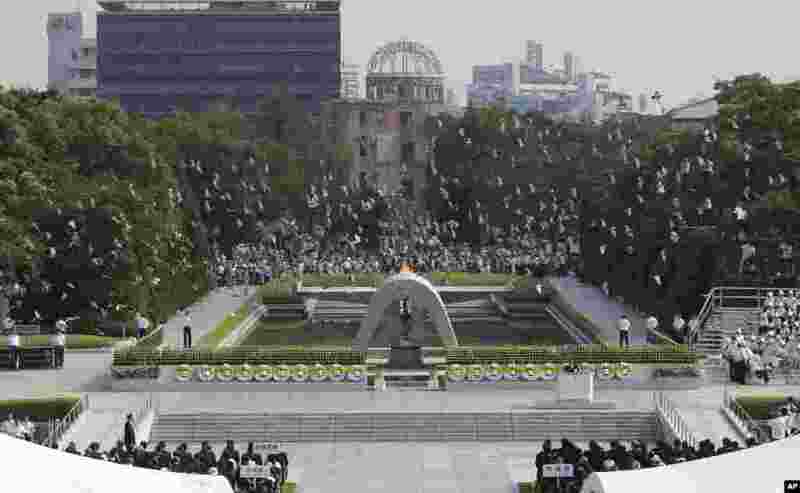 2 Doves fly over the cenotaph dedicated to the victims of the atomic bombing at the Hiroshima Peace Memorial Park during the ceremony to mark the 68th anniversary of the bombing, August 6, 2013. 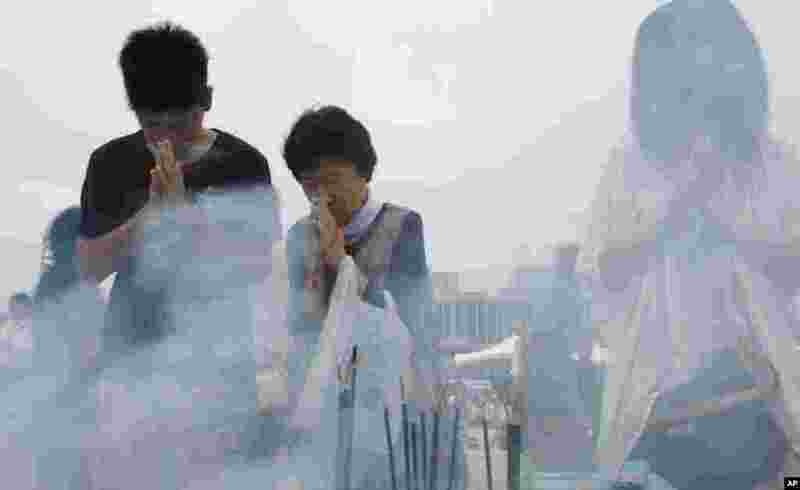 3 People pray for the atomic bomb victims at the Hiroshima Peace Memorial Park, August 6, 2013. 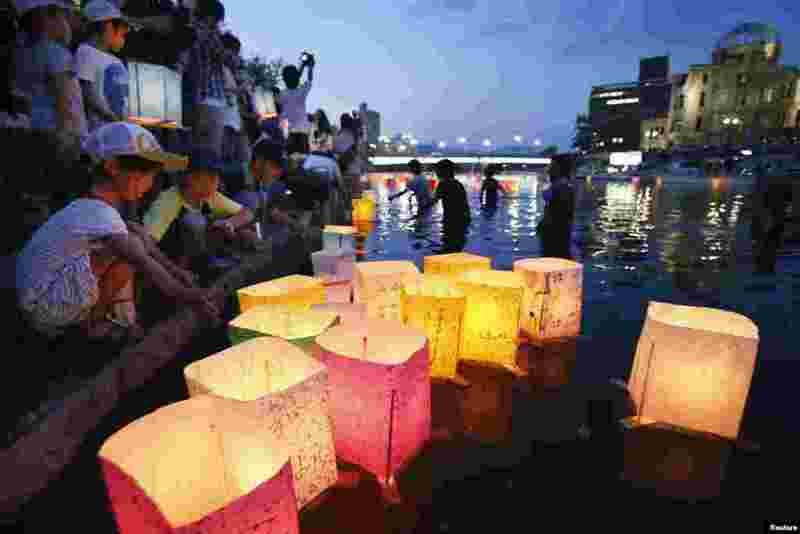 4 People pray for the atomic bomb victims at the Hiroshima Peace Memorial Park in Hiroshima, August 6, 2013.